Would you like the possibility to work from home or at the office? Are you looking for a new challenge? Join a winning team that will recognize your efforts! We are looking for dynamic individuals with a passion for helping people to join our fast-paced Home and Auto team at the RBC Insurance Advice Centre. As our Licensed Insurance Advisor, you will interact with clients over the phone, and provide them with insurance advice and solutions based on their individual needs. Your ability to provide superior customer service, build rapport and gain the clients' confidence will be critical to your success. With the ultimate goal of strengthening client relationships, you will contribute to an individual and team sales plan, successfully achieved through spotting opportunities, selling solutions and referring to partners. Flexibility to work a variety of shifts as our Centre is open Monday to Friday 8:00am to 8:00 pm in order to better help our clients. Royal Bank of Canada is Canada's largest bank, and one of the largest banks in the world, based on market capitalization. We are one of North America's leading diversified financial services companies, and provide personal and commercial banking, wealth management, insurance, investor services and capital markets products and services on a global basis. We employ approximately 78,000 full- and part-time employees who serve more than 16 million personal, business, public sector and institutional clients through offices in Canada, the U.S. and 39 other countries. 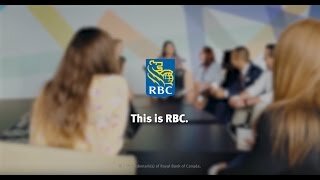 For more information, please visit rbc.com .